My great attraction for post-apocalyptic stories, be them written or filmed, started with the Mad Max series of movies. I can’t recall a time before seeing these three films when I was connected to this sub-genre, but I do know for certain that my love for it only grew shortly after with the Fallout games. Ever since then I hungrily devoured almost everything with post-apocalyptic elements. So, when wastelands, unlikely survivors and heroes and societies brought to their knees and returned to the starting point are mentioned I am eager to jump to the occasion and see what else post-apocalyptic genre has to offer. And since I cherish Mad Max movies with something close to religious fervor when post-apocalyptic Australian landscape is part of the setting I am all ears. There is no surprise then that Andrew Macrae’s novel, “Trucksong”, grabbed my full attention the instant I set my eyes on its presentation, “In a post-apocalyptic Australian landscape…” Although Andrew Macrae’s short stories have been published in Aurealis, Orb, Agog! Ripping Reads and Fantastical Journeys to Brisbane, “Trucksong” is his debut novel and it would be my first encounter with his works. But I am ready to join this ride, not only because of my already mentioned love for post-apocalyptic fiction, but also because of the name of the publisher, Twelfth Planet Press. For me Twelfth Planet Press is a guarantee of quality and it cannot be otherwise since my experience with the titles read from this wonderful independent press, Kaaron Warren’s “Through Splintered Walls”, Deborah Biancotti’s “Bad Power” & “A Book of Endings”, Margo Lanagan’s “Cracklescape” and Kirstyn McDermott’s “Caution: Contains Small Parts”, has been nothing but the best. 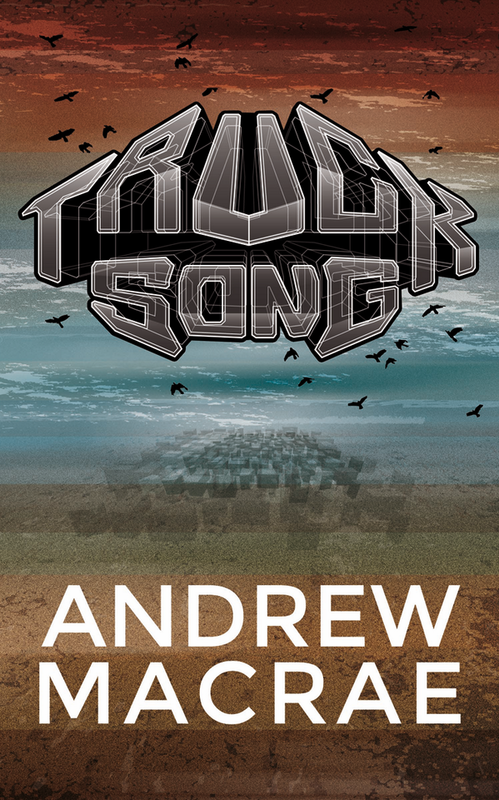 Therefore, for me, one book to be read by the end of 2013 must be Andrew Macrae’s “Trucksong”.